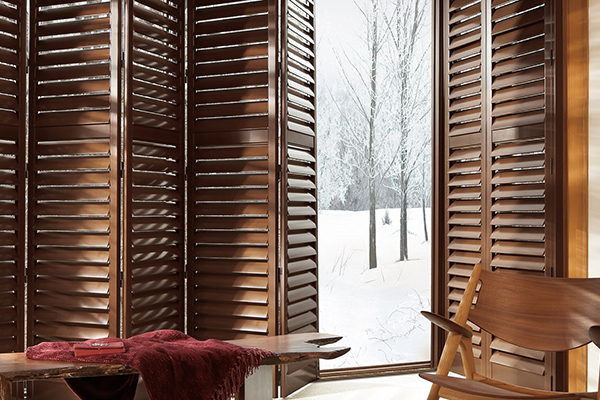 For unsurpassed elegance and natural beauty, 100% North American hardwood, Graber Traditions Wood Shutters are a premium window treatment. Hand-crafted in a range of custom styles, they are an investment in quality that will add warmth and value to your home. 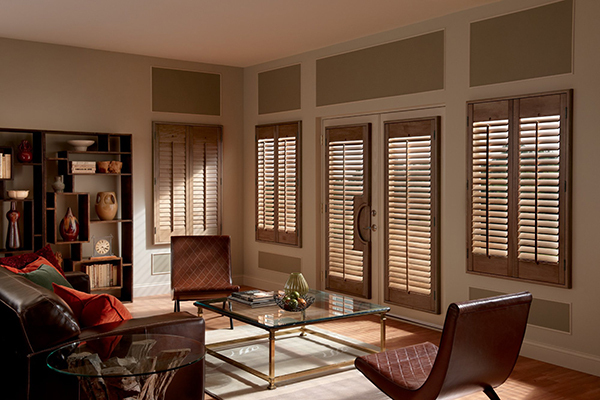 Graber Traditions Composite Shutters let you experience the essence of real wood in rooms that require a durable or cost-effective solution. 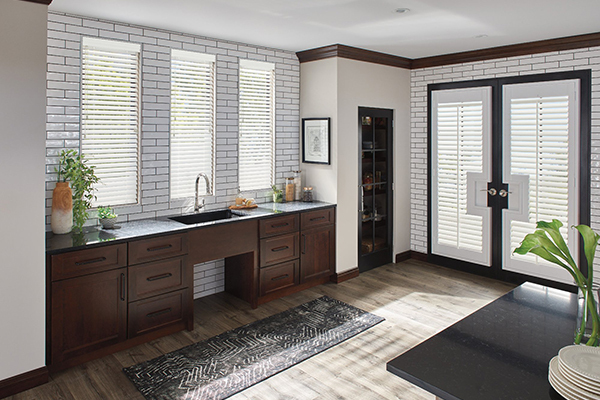 Engineered to withstand high humidity, Graber Composite Shutters coordinate with Graber Composite Blinds and are ideal for kitchens, laundry rooms, bathrooms, and other high-humidity rooms. Windows: Wood Cafe Shutters with 2½" Louvers, Hang Strip, and Standard Tilt: Pickled White 1762. Doors: French Door with Rectangular Cutout, 2½" Louvers, Standard L-Frame, and Standard Tilt: Pickled White 1762. Door: Composite Bypass Shutters with 2½" Louvers, Divider Rail, and Standard Tilt: Silk White 2922. 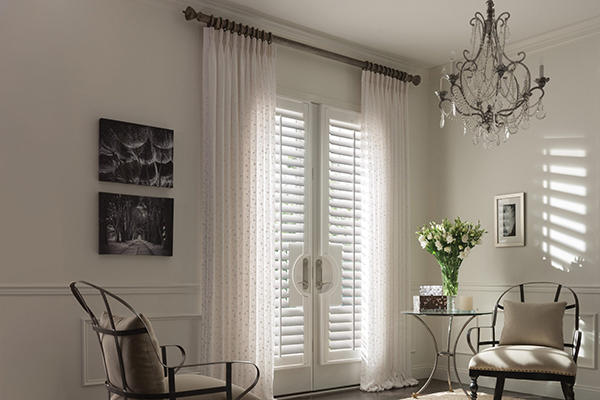 Window: Composite Shutter with 2½" Louvers, Divider Rail, and Standard Tilt: Silk White 2922. 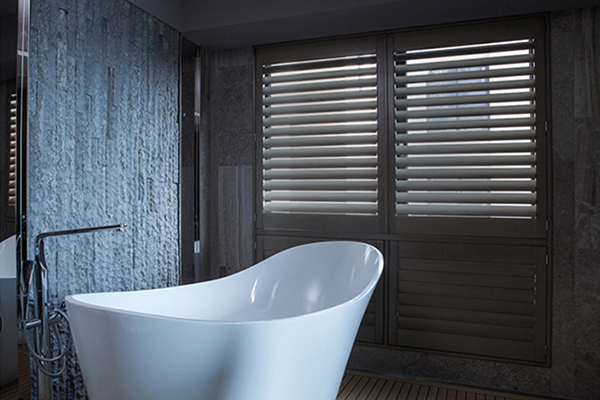 Composite Shutters with 3½" Louvers, Hang Strip, Divider Rail, Standard Tilt and Double Mouse Hole: Silk White 2922. 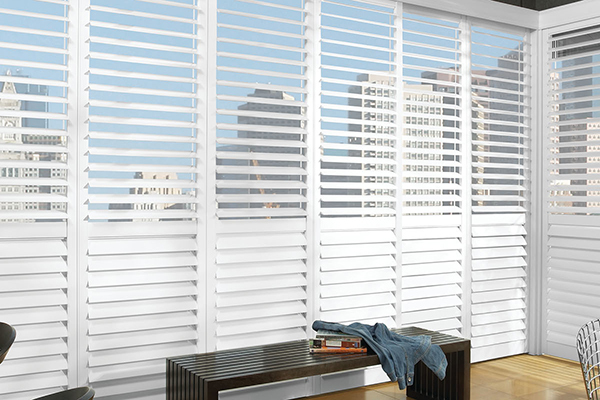 Composite Cafe Shutters with 2½" Louvers, Standard L-Frame, and Standard Tilt: Silk White 2922. Windows: 2" Composite Blinds with Cord Lift/Cord Tilt: Silk White 2922 with 3" Majestic Valance Doors: 2½" Composite French Door Shutters with Standard L-Frame and Rectangular Cutout: Silk White 2922. 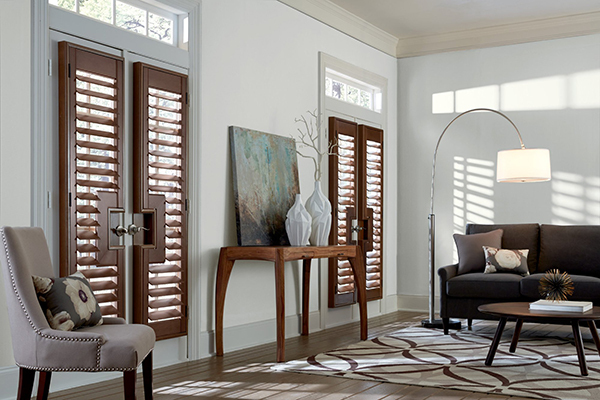 EXPERIENCE CRAFTSMANSHIP & PRIVACY WITH OUR CLASSIC PLANTATION SHUTTERS! 8) DECORATIVE ACCESSORIES: Styles to meet every need, including panel pulls, panel locks and hinges in various finishes. 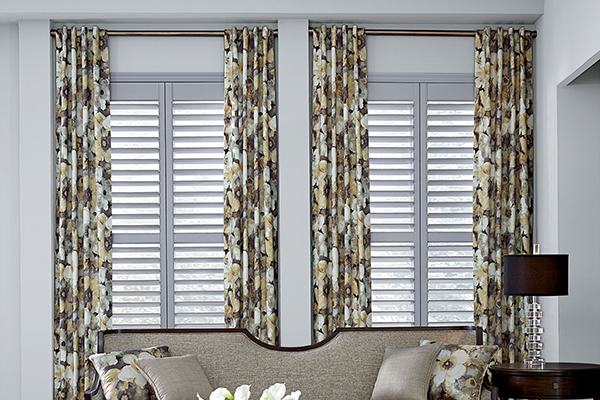 Sustainably sourced materials from our forests to your windows.